This quick-drying solution is a clear, petroleum distillate specially-formulated by L&R chemists. Ships via UPS Ground only. It contains no benzol or chlorinated solvents and leaves no oily film. One Gallon. Additional $5.00 per gallon shipping charge applies. 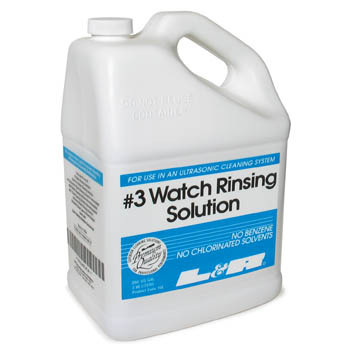 Cannot be shipped with other merchandise, by air or outside of the continental U.S.
FREE SHIPPING on quantities of four gallons cleaning solution. A $5 additional shipping charge applies to gallon solutions sold individually.